Join the Stony Brook University Men’s Soccer Fall ID Camp. It is a 1-day training program on October 29 at the Stony Brook University campus. This 5-hour clinic focuses on preparing the participants for soccer at the collegiate level. In addition, the camp also aims to further improve the attendees’ technical and tactical capabilities. Participants will also have the opportunity to showcase their skills in front of the university’s coaching or recruiting staff. Moreover, there will be a college recruiting discussion and campus tour at the conclusion of the event. In essence, the experience will be motivational and inspirational. Stony Brook University, formerly State University College on Long Island, is a public, coeducational, research, sea-grant, space-grant university in Stony Brook, New York. It is an affiliation of the State University of New York. The university is a member of the Association of American Universities as well as the Universities Research Association. It is also part of the Association of Public and Land-grant Universities. Stony Brook University has an accreditation from the Commission on Higher Education. The university is a benchmark in academic excellence. In fact, it is 97th in National Universities, 2018 edition of Best Colleges rankings. It is 58th in the Best Colleges for Veterans. And, 119th in Best Value Schools rankings. Currently, it accommodates a total of around 21,100 students. On the other hand, Stony Brook University has 16 intercollegiate sports teams competing in the America East Conference of NCAA Division I. 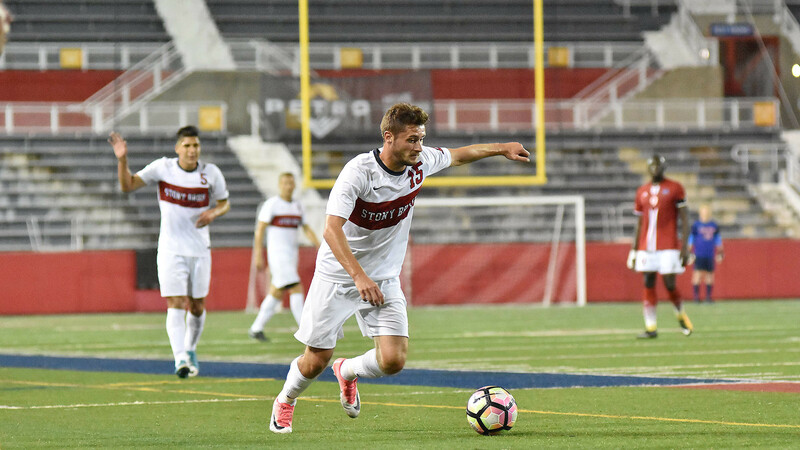 The head coach of Stony Brook University’s men’s soccer team is Ryan Anatol. He is now in his 7th year at the helm of the soccer program’s coaching staff. Under his leadership, the Seawolves men’s soccer team has already an America East Championship title. Furthermore, Coach Anatol is the 2009 NSCAA Northeast Region Assistant Coach of the Year awardee. Then, Dannie Merida is the Seawolves’ associate head coach. Finally, Shane Wixted is the assistant coach. Join the Stony Brook University Men's Soccer Fall ID Camp. It focuses on preparing the participants for soccer at the collegiate level.